Of the 19 properties in this subdivsion, only one has a tenant in it. That’s an extraordinarily high owner-occupied ratio! Originally, this tract consisted of just the Thrash House and property. 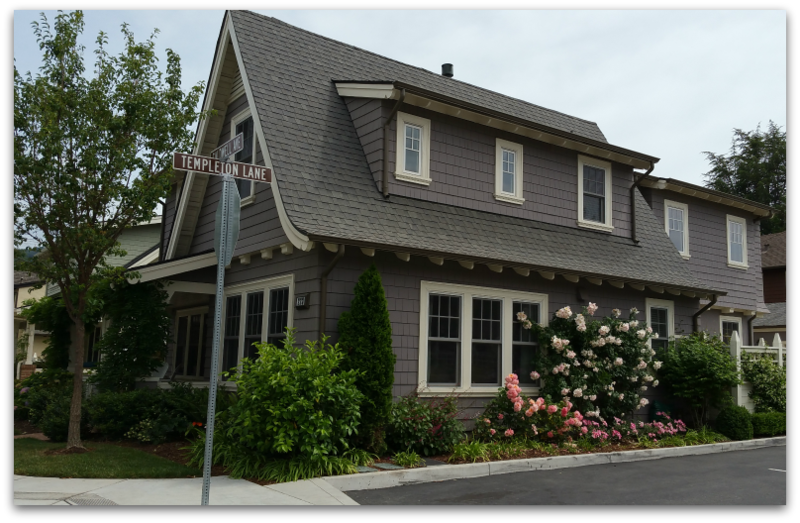 The Thrash House, built in 1902, was exquisitely restored and remodeled in 2012 and is located at 367 Los Gatos Boulevard. 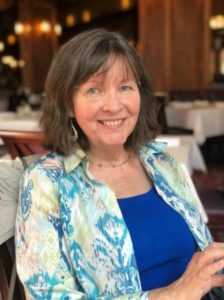 It’s privately owned, so don’t knock on the door, but if you walk by on the sidewalk, or drive past, you’ll appreciate what a grand estate house it is. It boasts 5422 square feet and sits on a 14,670 Sf lot that has not lost any of its grandeur. Naturally, this is the largest home, and the largest lot, and the most expensive home in the Bluebird Lane neighborhood. A typical house might be about 3500 SF on a 5500 SF lot and may sell for around $2,500,000 – $3,000,000 as of this writing (spring 2016). Turnover is fairly low. 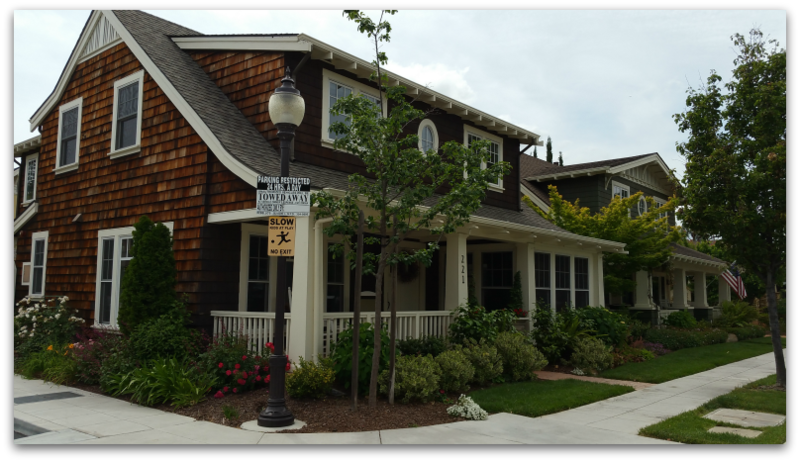 Smaller homes on smaller lots in busier locations will likely sell for less than larger homes and lots in quieter areas. Because there are so many variations and so little turnover, it won’t be easy to “comp” or estimate value like it would be in a larger subdivision with much more turnover. 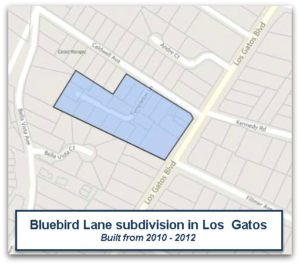 Interested in buying a home in the Bluebird Lane subdivision, or anywhere in Los Gatos? 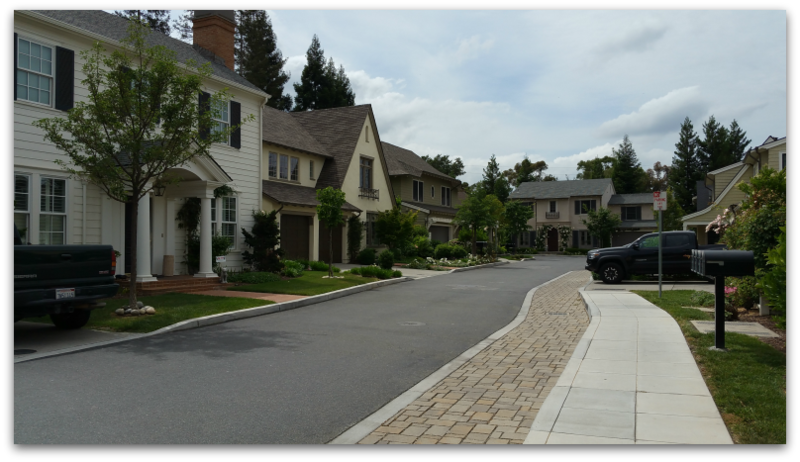 Please call or email me; let’s see if we might be able to work together to get you your Los Gatos dream home.